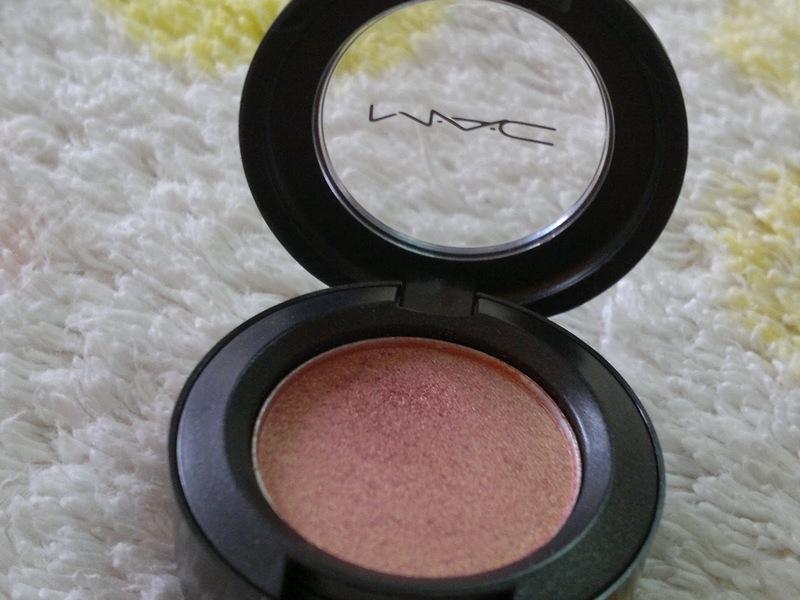 Today I am reviewing my first ever eye shadow from MAC, expensive pink. Generally touted as must have as, it goes with indian attire, especially indian wedding attire. 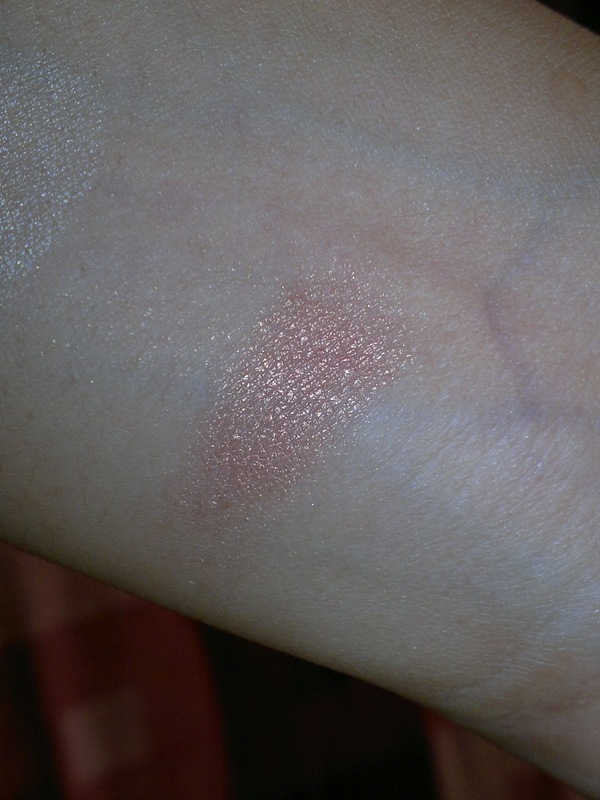 The eyeshadow is a very pretty peachy pinky shade with very fine golden shimmers (I feel it looks like an eyeshadow version of NARS-O under artificial light, but maybe I am wrong) with no fallout whatsoever. 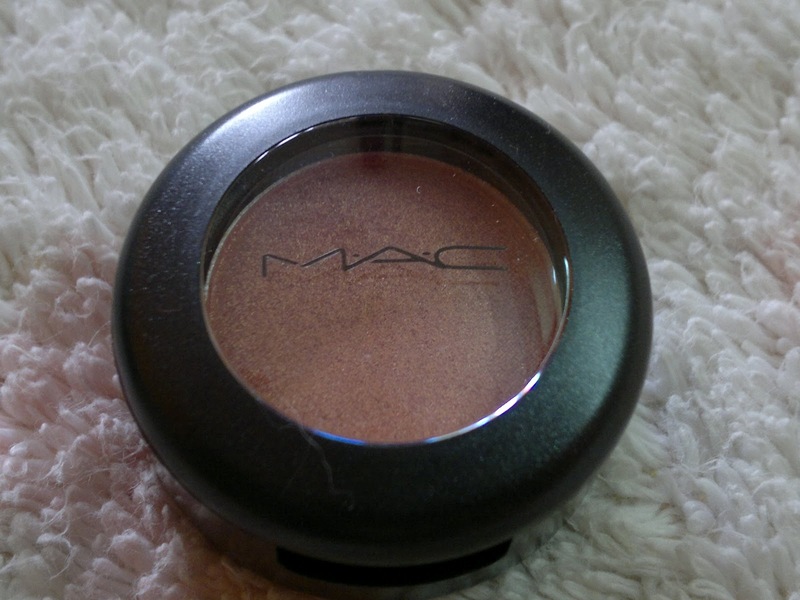 Price: INR 990 for 1.5 gm of the product, the eyeshadow comes in the classy MAC packaging with a transparent lid. Refills are available for INR 680 only. The eyeshadow has a Veluxe pearl finish, which I would interpret as duo-chrome. 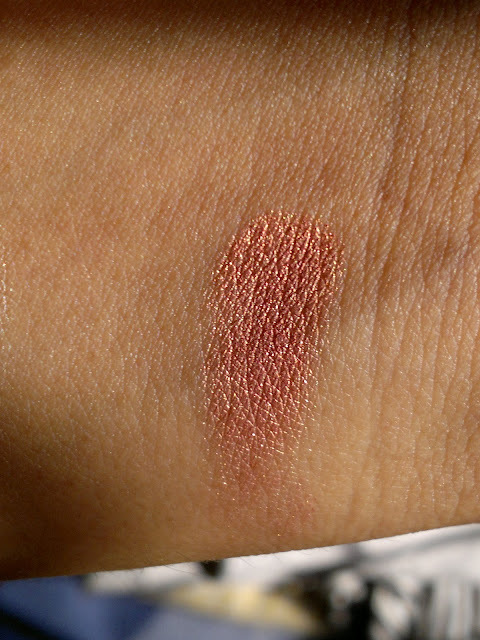 I quiet like the eyeshadow as it glides on smoothly on the lids and is superbly pigmented. Zero fallout whatsoever, and gives me a perfect eye look in keeping with my Indian attires. The eyeshadow will definitely last me for a long long time as a small amount is enough. Also, the eyeshadow doesn't crease and with a primer, stays on my eyelids till I removed it at night with a makeup remover. A must have for all Indian girls and brides to be. 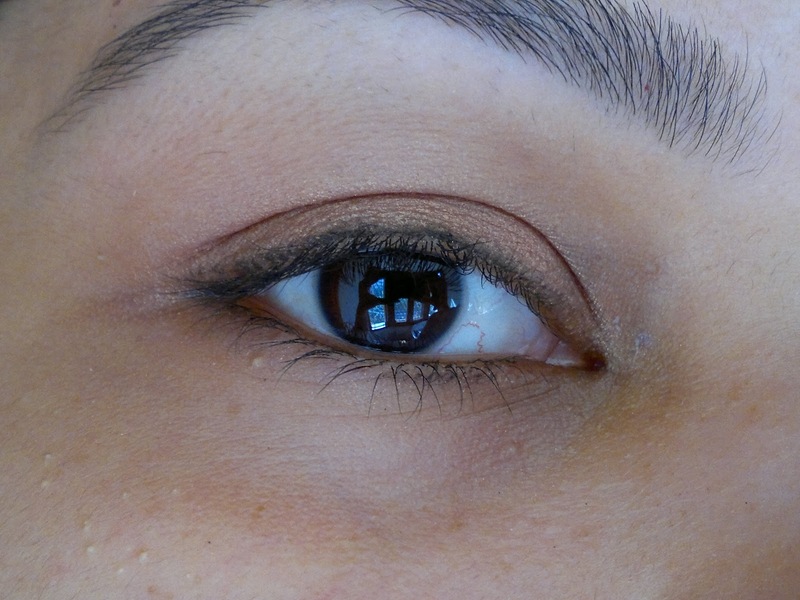 In this look I have tightlined my upper lash line with MAC powerpoint pencil in engraved, and highlighted my brow bone using MAC ricepaper eyeshadow. Paired the eyeshadow with a neutral lipglass Lust from MAC, which has become my go to lipgloss these days. As you can see from the pics, the eyeshadow doesn't make my eyes look swollen or tired as is the danger with pinks, in fact I feel that it just brightens up my eye area and makes me look more awake. Also, though the color and the shimmers look OTT in the pan, it comes out quiet natural and beautiful in the pics. Of course you can build the eyeshadow if you want it more intense, but since I used this on a working day, I liked it a little more subtle. Product rating: A+, available at all MAC stores, part of the permanent collection. Would definitely recommend this to all Indian girlz, goes with all our Indian attires and costumes, perfect for a wedding as well as Sangeet. 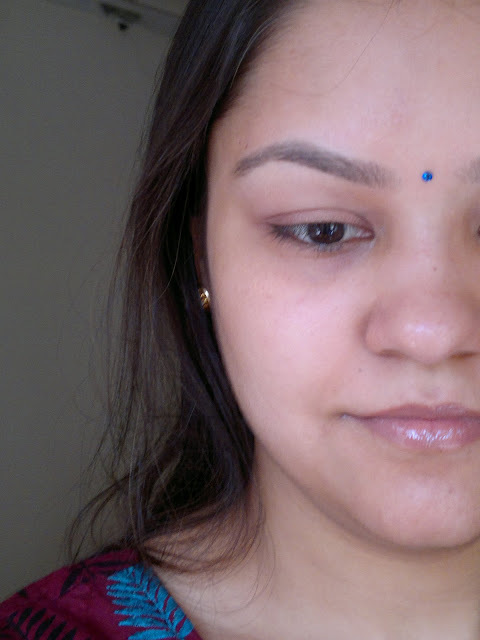 A must have shadow in the vanity of all Indian brides. wow u look so pretty... you have done such a nice review dear.. I really like how natural it looks. 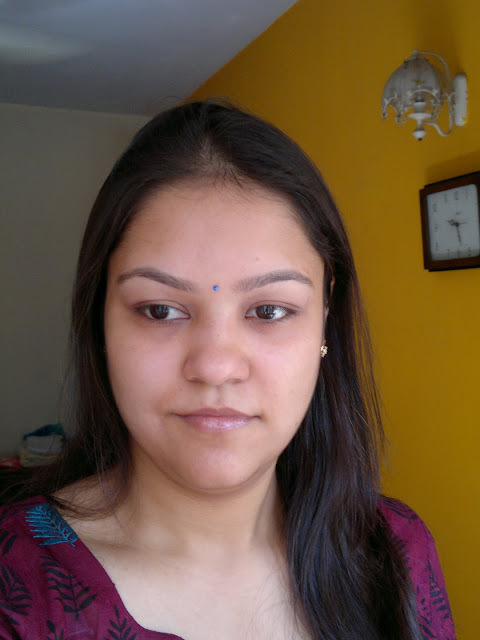 :) You look lovely, kumkum.